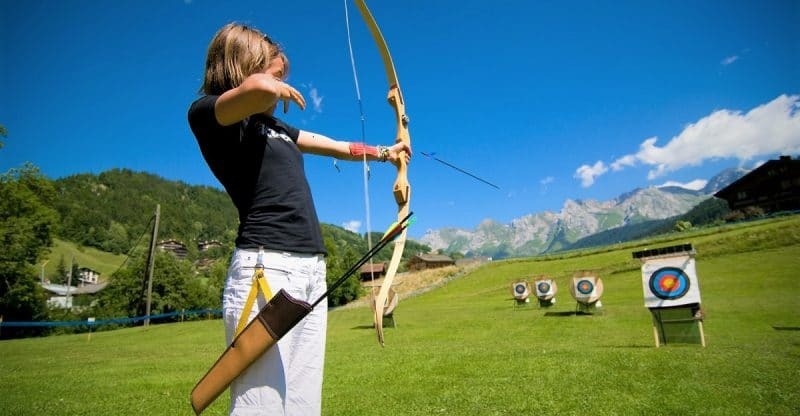 Everyone out there who owns a bow has at some point or other been stumped by the choice of which crossbow targets are best to buy. To be fair, it is no surprise that people get a bit confused because there are so many different types and styles on the market for us to choose from now. The good old days of just grabbing a few bales of hay to use for target practice are long gone – and that’s a good thing. It’s a good thing because the crossbow targets we can choose from these days are made specifically for the type of bow, arrow and even the tip you’re using. So let’s take a closer look at 3 crossbow target options below. Then you can make your mind up which one matches you and the bow setup you have going on over there. I would say these are the most simple type of crossbow targets we have available to us, pretty much every owner of a crossbow has one or has used one in the past. The bags are able to easily stop your arrow and at the same time are super simple to pull the arrow out of. Ideal for repetition and perfect when you’re getting those early summer sessions in. I like the way they are durable and have a large surface to aim at which is good when you’re getting your eye back in. The next one up from the bag targets are foam layer ones. They’re good because not only are they light, they are also really easy to carry around. In addition to that they are also super economical and great for light arrow removal. They’re not ideal if you’re going to be using a heavy draw weight because that’ll make pulling the arrow out much more difficult. I think that they are ideal for practicing outside because they’re quick and easy to setup. If you’re looking for the best way to get ready for real life hunting situations then 3D targets are the way forward. You can buy them in pretty much any animal form you can think of. There are even add on options with points systems so you can challenge yourself against others and learn where the best places to aim for are.